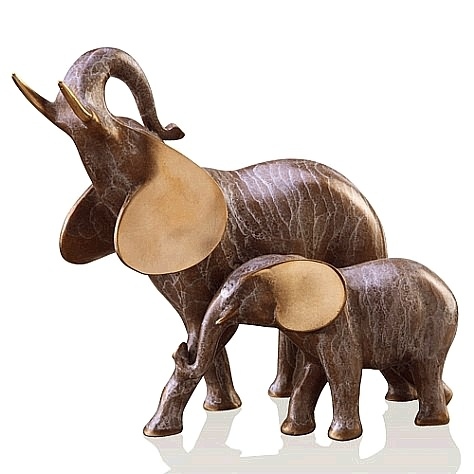 Created with an aesthetic appeal, our elephant sculpture surely adds an impression as it highlights a little baby elephant tugging at its mother's foot. A wonderful gift idea for Mother's Day. Dimensions: 7.5"H x 6.5" x 4"